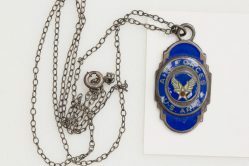 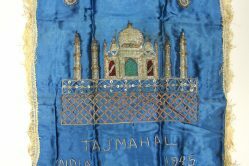 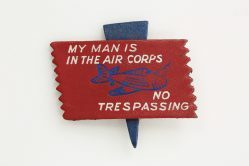 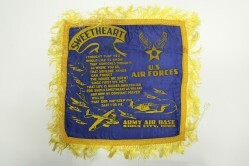 Sweetheart pins, wings, handkerchiefs, bracelets, and pillow covers are some of the gifts that military men bought for their girlfriends, wives, and other family. 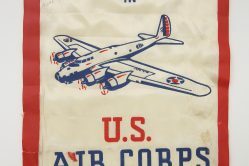 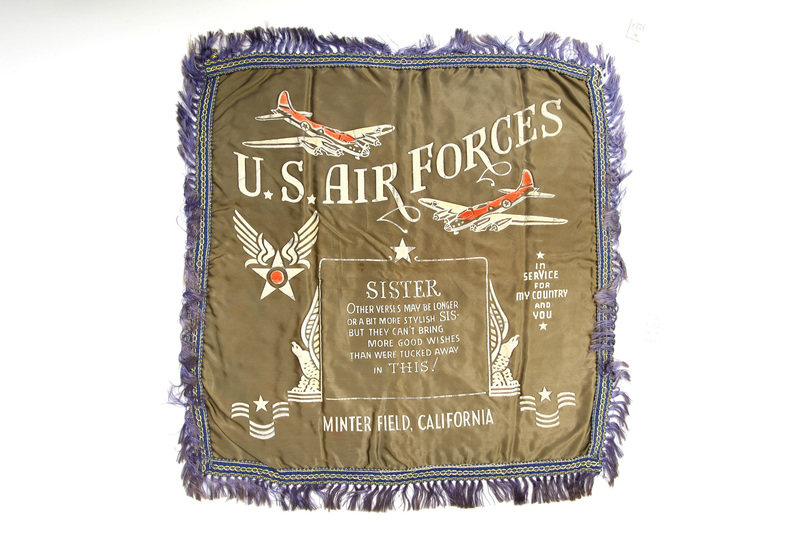 This pillow cover designed for a sister features a poem and flying aircraft in white and red flocking on olive green fabric. Minter Field in California was a pilot training school in WWII.